I have dedicated this section to showing off the progress around Project 13. Below you will find videos, pictures and short descriptions of the development of Project 13. Thanks for your interest in the project and Enjoi. Project 13 has been discontinued. The technology that was required to see this project come to life became extremely difficult to develop, and I see no reasonable way forward. Especially around the area of autonomous navigation around an indoor environment. I have taken a lot of the technology that showed up in Project 13 and transferred it over to Stronghold CMD. I will look to make use of the robot for Project 13 in Stronghold CMD. Wiping out the autonomous navigation for user controlled navigation. This is not so much a failure at the project so much as it is a re-invention of the project. So head over to Stronghold CMD in the projects section to see the progress that I have made. Enjoi! This goes over the changes found in the software of v0.50 of Project 13. This goes over the changes found in the software of v0.40 of Project 13. 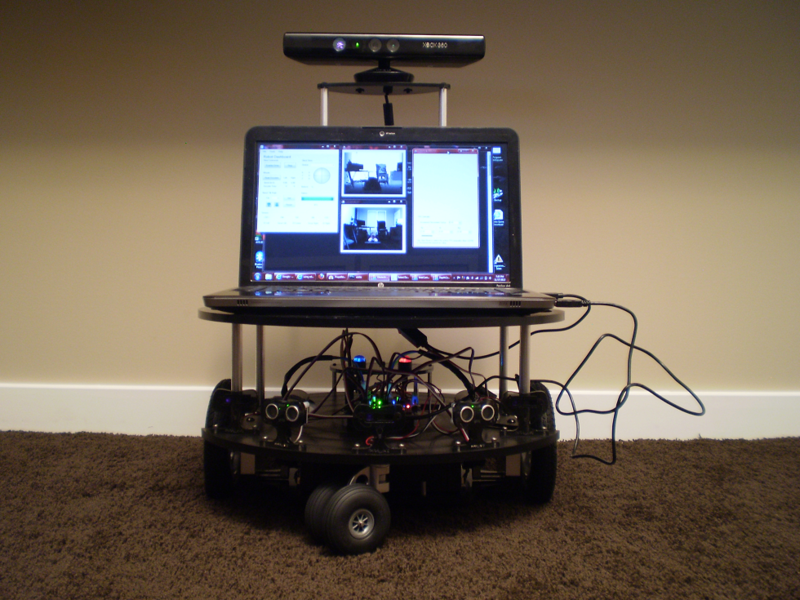 Using the Kinect Camera to track your movements, Project 13 will follow you around. Using the Eddie's IR sensors to maneuver around a room and avoid obstacles in it's path. 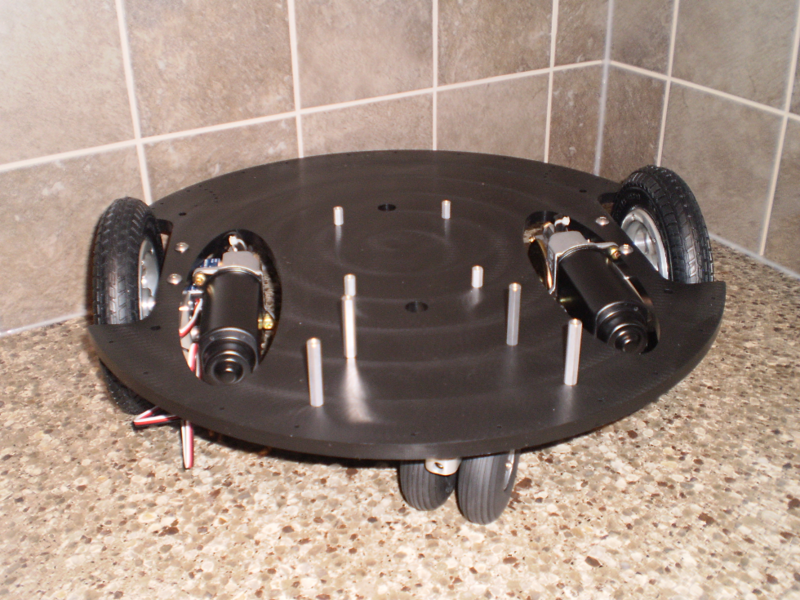 This is the Robot platform that Project 13 will be based upon: Parallax's Eddie. 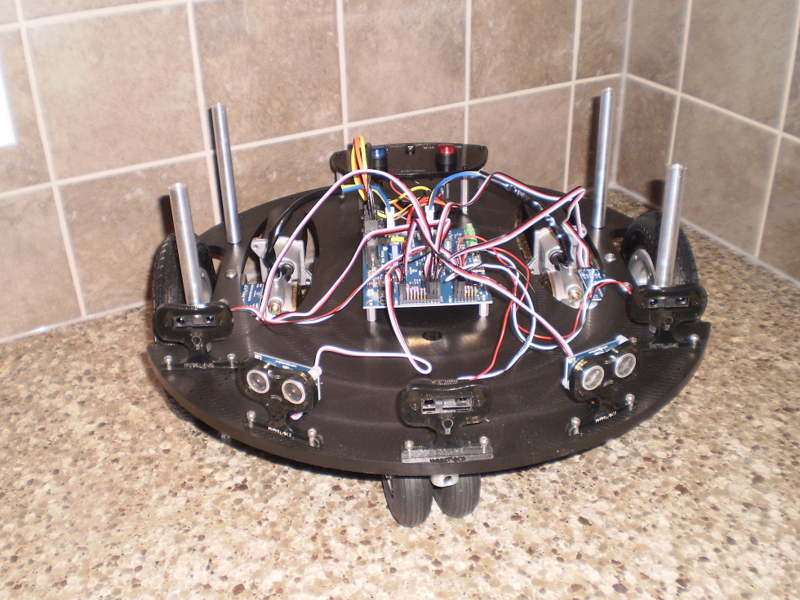 This is the progress of the build of the Robot. Detecting Collisions by dividing Kinect Video frames into 5 equal sections, and then determining the section a pending collision will occur in. The source files can be found on the downloads section, or by clicking here. This video goes over the software portion of Project 13 in v0.30 of the Software.